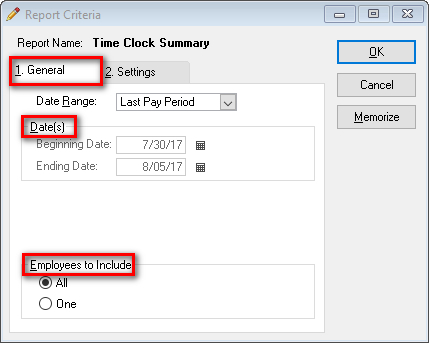 If this your first time running the report, an active screen entitled Payroll Settings Required will appear. Select OK. The Report Criteria screen will appear. 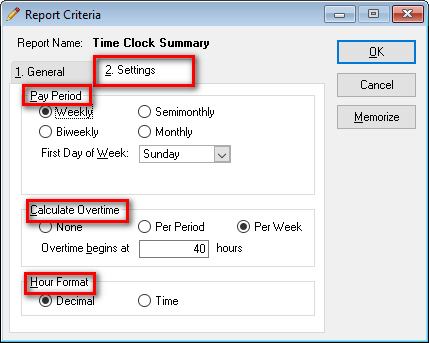 On the Settings tab, select the desired Pay Period, how you want to Calculate Overtime, and whether the Hour Format will be Decimal or Time. 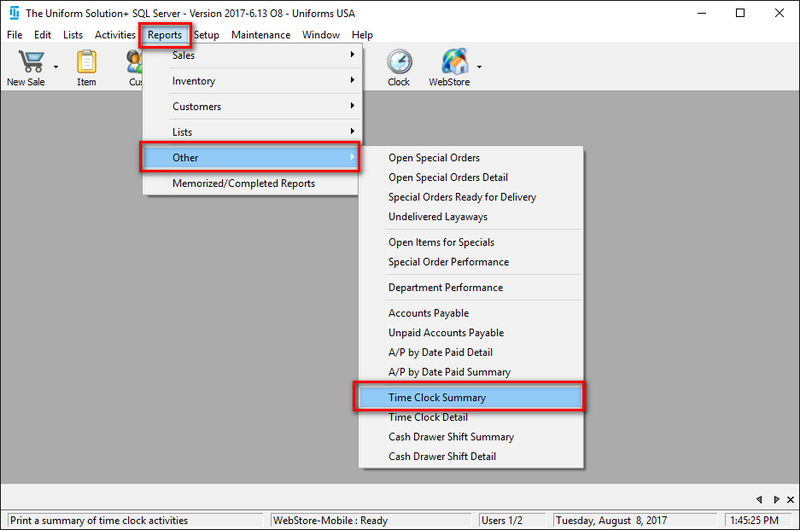 Select the General tab. 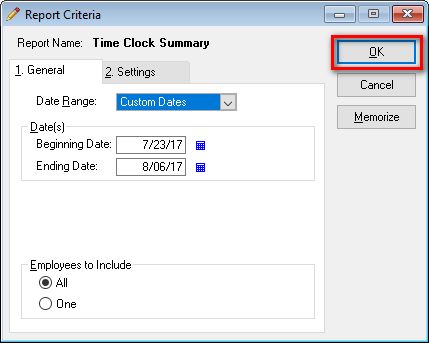 Select the desired Date Range, Dates, and Employees to Include.